Feed recipes – now you can make your own! “Hi Gina, I just wanted to take a minute to tell you how glad I am you offered this book to us. I have been raising chooks for about three years now, and I learned so much from this book. I wish I had your newsletter, and books like this when I first started my endeavor. This book is not only informative when it comes to feeding, but also housing, behavior, and knowledge, and patience that anyone raising chickens should have when it comes to eggs. Please keep doing what you do for all of us who are veterans, and also those of us just starting to come around to the organic revolution. Thank you so much for all you do. This is my favourite ‘in the old days’ chicken care guide. Today we have more options available to us in terms of commercial feeds, vaccinations, tonics and other poultry health products, but the chickens we have walking around our yards are not so very different from the ones 100 years ago. 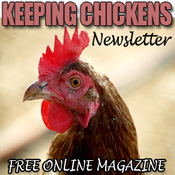 Whilst we may now be more likely (and perhaps better advised) to buy our feeds and tonics rather than make them ourselves, the principals of successful chicken keeping and advice on care and raising of chickens for eggs and breeding are still essentially the same. For instance, if a warm winter mash which included a sprinkling of pepper helped hens lay during colder weather ‘in the old days’, it is likely to be the case that it might also help today. The basic principal of a warm mash with pepper is the same whether you have made your own recipe mash or simply added hot water and a sprinkling of pepper to your usual commercial feed to make it into a warm mash. Nothing can beat the taste of your first ‘home-grown’ eggs! “Gina – the book is awesome! Learned things I thought I knew — so happy you did this! In 200 Eggs a Year Per Hen you will learn about everything from hatching and raising your own chicks to egg laying, feeding, housing, and more! “I’m really enjoying the book. Don’t have long enough to sit and read it all at once. But I keep coming back to it. This is the first time I’ve ever raised chickens (at age 61) but I’m enjoying watching the changes and all. And the book is helping me learn more and more. Thanks a bunch. 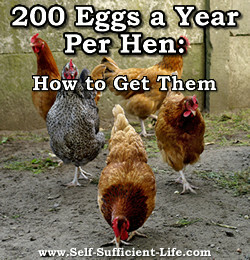 You will be able to download ‘200 Eggs a Year Per Hen‘ within just a few minutes. Click the above order button, enter your payment details, and it’s yours 🙂 This ebook is in Adobe’s PDF format so it can be viewed on any computer. 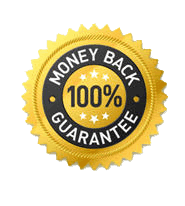 Then… simply send me an email, and your entire investment will be returned to you immediately.